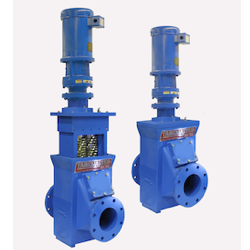 TASKMASTER TM8500 series inline grinders quickly and effectively reduce sewage and sludge solids to fine particles directly in pipeline systems. Along with Cutter Cartridge technology, these grinders feature a convenient [email protected] housing. The TM8500 has two counter rotating stacks that intermesh at close clearance to shear and shred solids into fine bits. System can be installed in sewage treatment plants, sludge lines and pumping stations.